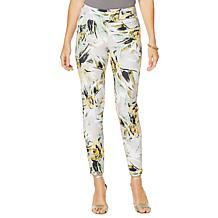 Textural but tastefully executed. 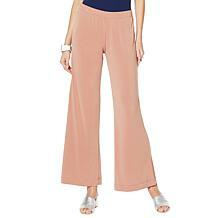 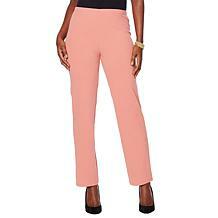 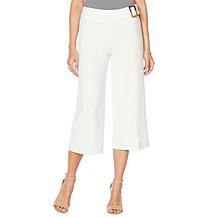 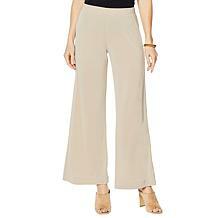 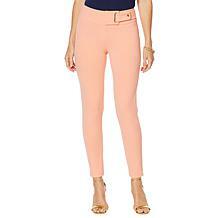 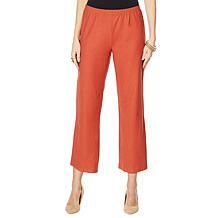 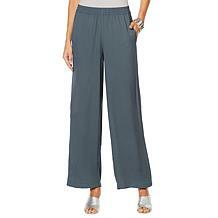 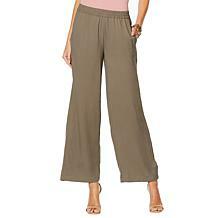 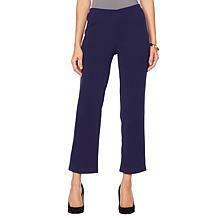 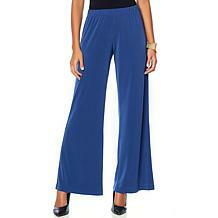 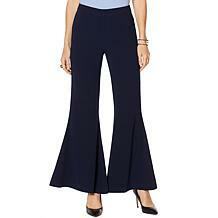 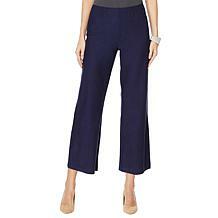 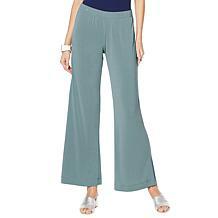 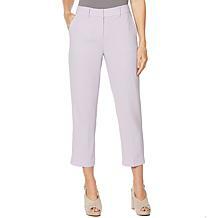 This pant gives you range for ultimate style approaches that last from one season to the next. 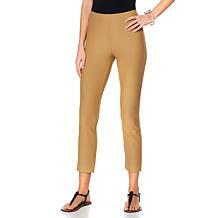 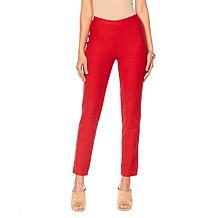 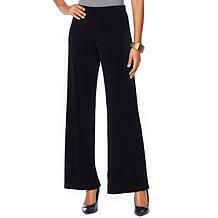 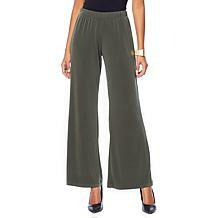 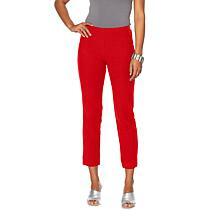 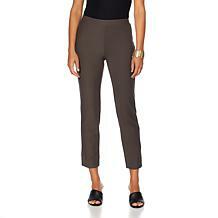 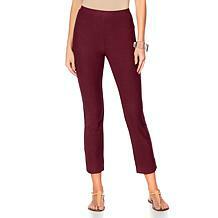 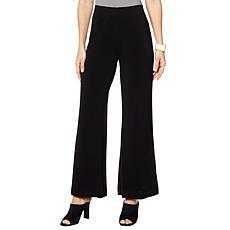 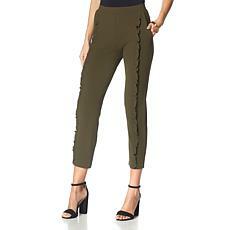 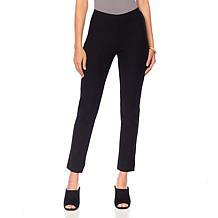 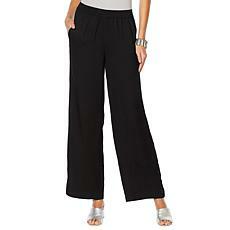 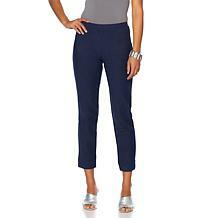 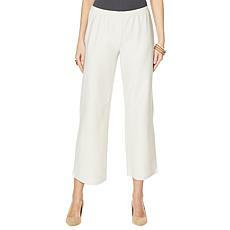 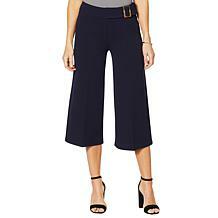 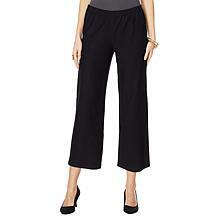 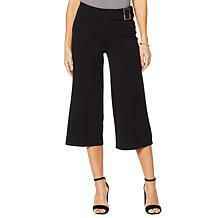 Slinky Brand Luxe Crepe Basic Pant Watch how quickly this pant becomes your favorite go-to garment. 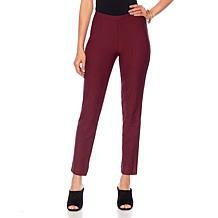 Layer them with a long tunic, cardigan or jacket while pairing with boots flats or heels. 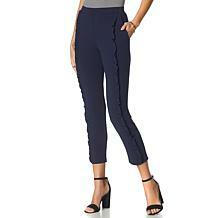 You get the idea! 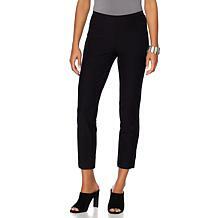 Sleek looks are easy to achieve with MarlaWynne. 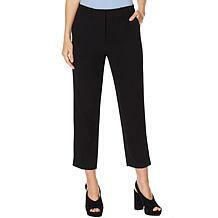 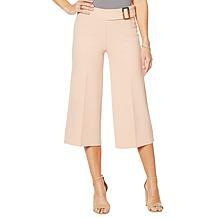 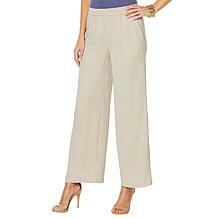 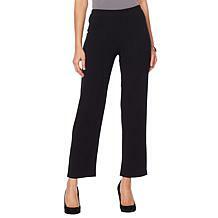 These classic narrow pants fit your needs for the workplace and for the weekend. 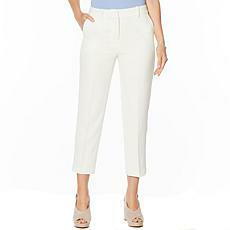 Refresh staple tops, add a few accessories, and you have the perfect transitional wardrobe. 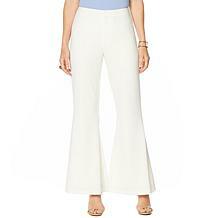 Ease and chicness can be one. 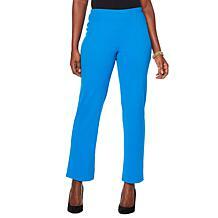 This pant performs throughout the week but makes a great weekend pick too. 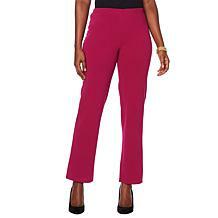 The most important thing a woman wears is her confidence. These trousers add a fearless, head-high swagger to your everyday look with their slimming silhouette and stretch crepe fabrication.